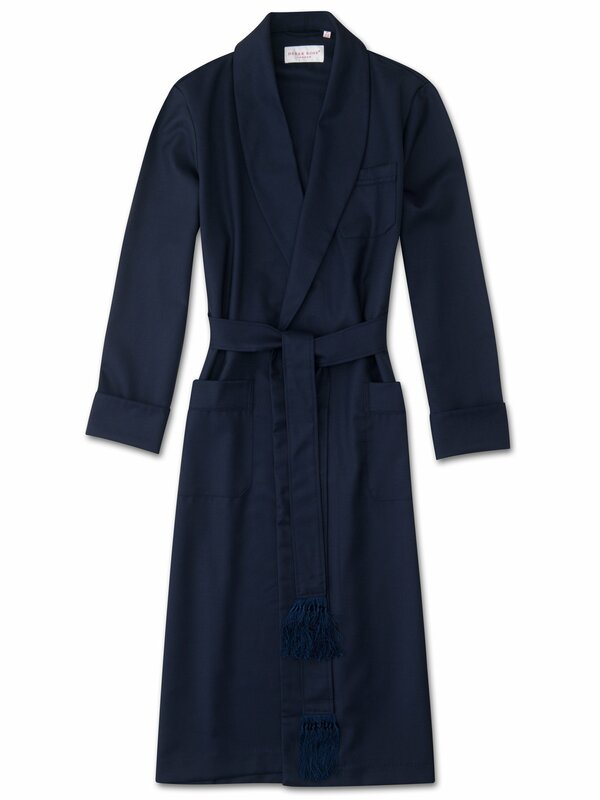 One of our popular classic range of men's dressing gowns, the Westminster is made from pure wool with a piped finish. We chose a wonderful grade of worsted merino wool that combines comfort, durability and warmth. Perfect for Autumn and Winter. Featuring a shawl collar, breast pocket and two side pockets, it is finished with an elegantly tasselled belt. The perfect sleepwear add-on for any gentleman's wardrobe, combine the Westminster gown with a pair of our pyjamas for the ultimate in winter warmth.